After a record setting, rain filled winter, the 2016 Wild Iris Sauvignon Blanc is ready to celebrate Spring! It won’t be long before the vineyard dries out, pruning is complete and the vines begin to bud. With a glass of 2016 Wild Iris in hand, we happily welcome this new season. 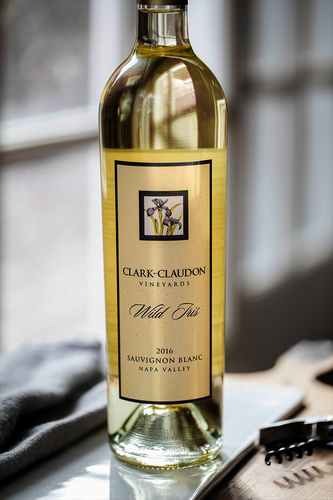 Clark-Claudon Wild Iris Sauvignon Blanc is crafted from 2 clones of 100% Sauvignon Blanc from LamBentz vineyard in the Napa Valley. Year after year, this small, single vineyard provides us with exceptional fruit. Once fully ripe, the harvested fruit is fermented in a combination of stainless steel and neutral oak. An extended stirring of the lees assures its refined, rich texture. The 2016, from a very small crop, has been extraordinary from start to finish!